Architectural detail at Griffith Park Observatory, Los Angeles, CA. 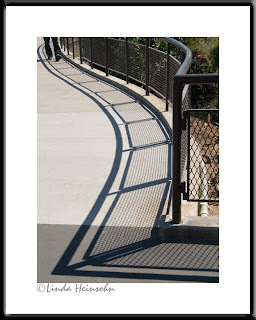 The sun was very bright and in perfect position to make a dark, strong shadow of this rail. Some may not like the feet in the pic. I do.